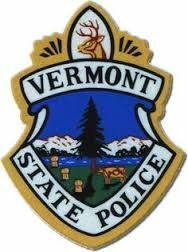 Vermont State Police have arrested four Springfield VT men for numerous burglaries in Oct and November. Police say, David Farnsworth 59 and his son Michael Farnsworth 26 would commit burglaries and sell the items to support their heroin habit. Zachary McNeill 23 also accompanied them on several occasions and Joshua Congdon 26 committed one burglary with Michael Farnsworth. The thefts took place in the VT towns of Andover, Ludlow, Cavendish, Weathersfield, Springfield and West Windsor. State Police worked with Police Departments in Chester, Springfield, Weathersfield, Ludlow Newport, NH and the New Hampshire State Police. Chester Police also arrested the Farnsworth as part of a $40,000 theft ring in late November. The men are charged with various counts of Burglary, Petit larceny, Selling Stolen Property, and Unlawful Mischief. The men will appear in Criminal Court on Dec.29, and Jan. 19 to answer the charges. Three Montpelier residents were arrested for Sunday’s fatal fire in Northfield VT. The fire left Brittany Burt 22 dead and Efren Serrano 26 in critical condition at Mass General Hospital. Police say Tammy Wilder 45, and Jonathan Zampieri 33, were arrested on Tuesday evening, following a motor vehicle stop in Berlin. A third person Howard Hoisington 32 was arrested just after midnight on Wednesday. All three suspects are lodged at the Chittenden County Correctional Center and face federal charges. This remains an active investigation, anyone with any information is asked to contact the Vermont State Police. Sergeant Timothy Puchtler of the Sunapee Police Department successfully completed the “Command Training Series: First Line Supervisor Course”. The two-week program is a comprehensive training for police supervisory personnel. Experienced academics and law enforcement practitioners presented the program from November 30 – December 11, 2015. The course discussed topics as operational leadership and management principles, problem-solving, organizational and interpersonal communications, labor relations, disciplinary issues, and ethical decision-making gave the program. Graduates of the session represented police departments from throughout New England.